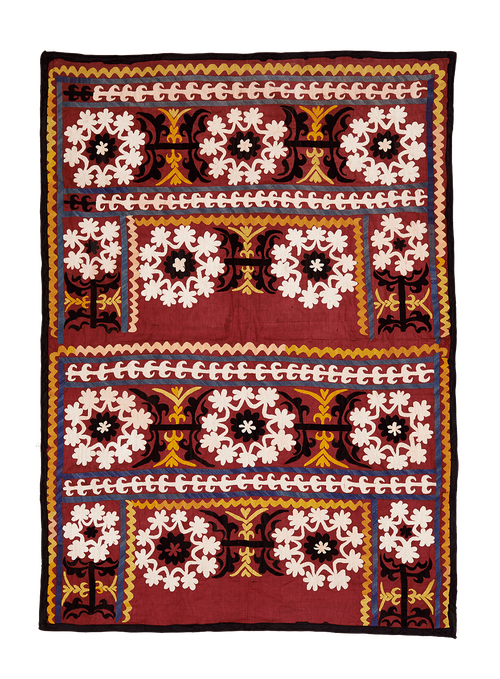 Ivory, saffron, blue and black cotton embroidery on hand-loomed purple red/burgundy cotton base. Elegant old piece. Wear is consistent with age and use.